An excellent Education slot reminding us of what a good BNI member should be doing on a weekly basis. Attend regularly and send a substitute if you can’t make it. Arrive early and stay until the end. Prepare a new 60 second speech every week. Sit next to a different member at each meeting. Have regular dances with other BNI members. Go to chapter social events – helps build your team. Always have your BNI wallet with you. Bring as many visitors as you can. Make other people’s visitors feel welcome. Know how to identify a good referral. Take all referrals seriously and do your best to turn them into business. Use the services of other chapter members. Be specific about the referrals you are looking for each week. Have a good memory hook. Spend time preparing your 10 minute presentation. Give testimonials – both to chapter members and about your BNI experiences. 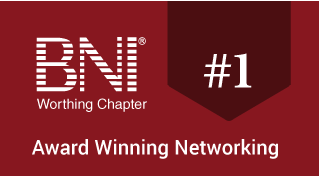 Be a member of BNI all week long.